The Taoiseach Mr. Leo Varadkar T.D, the Minister for Education and Skills, Richard Bruton T.D., the Minister for Finance, Public Expenditure and Reform Paschal Donohoe T.D. and the Minister of State for Higher Education, Mary Mitchell O’Connor T.D., today (17th of July 2018) announced that the application for Technological University status from the TU4Dublin consortium would be granted.The TU4Dublin consortium comprises Dublin Institute of Technology, Institute of Technology Blanchardstown and Institute of Technology Tallaght. 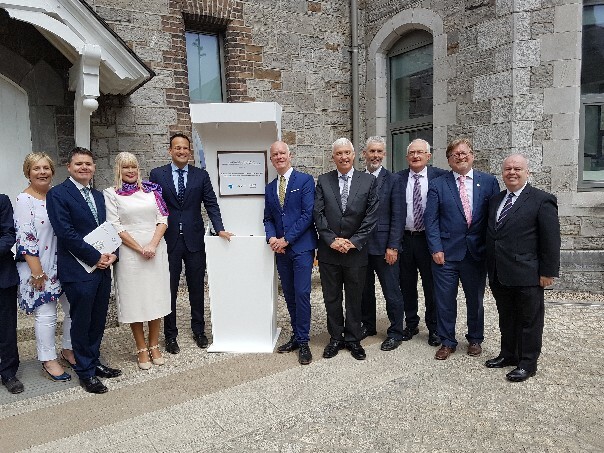 “The designation of Ireland’s first technological university would not have happened but for the dedication, hard work and commitment shown by the staff of the three institutions along with the leadership and governance of Minister Richard Bruton, Minister Mary Mitchell O’Connor and their teams. We are grateful for the vote of confidence in the technological HE sector and look forward to the increased diversity and choice that further TU designations will bring to higher education in Ireland. “We welcome the investment made to date in the landscape restructuring and anticipate with interest the allocation of further funding to the three remaining TU consortia in the South-East, Munster and Connacht. This week we will lodge a collective pre-budget submission with the Department of Finance on behalf of the entire Technological HE sector on the core funding that is required for our sector in Budget 2019. In that submission we will ask the Minister for Finance Paschal Donohoe to mirror the confidence of Ministers Bruton and Mitchell O’Connor in the technological HE sector with a robust package of investment as a stepping stone to establishing a sustainable funding model in the near future. The technological higher education sector in Ireland comprises 14 Institutes of Technology geographically dispersed across Ireland. The Technological Higher Education Association is their representative and advocacy body. There are currently four consortia of Institutes of Technology engaged with the developmental process seeking to become designated as technological universities. The TU4Dublin consortium comprising Dublin Institute of Technology, Institute of Technology Blanchardstown and Institute of Technology Tallaght. The Munster Technological University (MTU) consortium comprising Cork Institute of Technology and Institute of Technology Tralee. The Connacht Ulster Alliance (CUA) consortium comprising Galway-Mayo Institute of Technology, Institute of Technology Sligo and Letterkenny Institute of Technology. The Technological University for the South-East (TUSE) consortium comprising Waterford Institute of Technology and Institute of Technology Carlow. Athlone Institute of Technology, Dundalk Institute of Technology, Institute of Art Design and Technology Dun Laoghaire and Limerick Institute of Technology remain autonomous Institutes of Technology.